In recent news, several seemingly non-related stories have boldly drawn new battle lines about how people treat each other. Sen. Ted Cruz bullied Congress and colleagues to force a government shutdown; there was a clarion call for the parents of the girls who cyber bullied 12-year-old Rebecca Sedwick to be held accountable; Dolphins football player Jonathan Martin said no to hazing from his teammates. 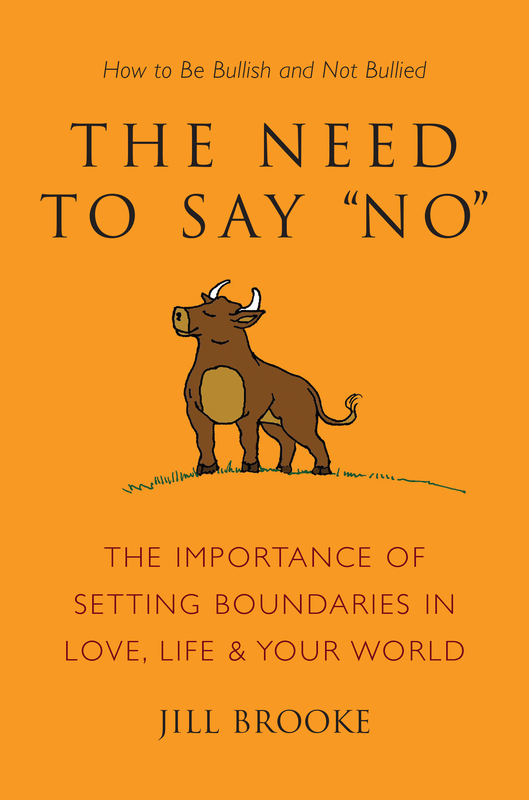 These stories have collectively raised awareness and debate about the issue of adult bullying which happens to be the focus of my new book, The Need to Say No: How to Be Bullish and Not Bullied. The benefit of all these stories clustered together is that the media has put the spotlight on the issue, which leads to more people speaking out which may lead to changes in how anti-bullying laws are enforced. Would Martin, the brawny pro-football player, have had the courage to speak without the issue dominating the news? Was what he experienced different than other athletes in a sport’s locker room? After all, he wasn’t a wimpy-looking kid or a guy from the wrong side of the tracks getting picked on. He’s a Stanford grad. But with raised awareness, he knew he didn’t have to take it and could say no to unacceptable behavior. Furthermore, would the Miami Dolphins have reversed course and issued a statement stating they are “taking these allegations very seriously” and stressing they are committed to a culture of team-first accountability? Public pressure, along with the media coverage of stories such as Sedwick and 34-year-old Carla Franklin who successfully sued Google to expose the person who wrote false hurtful comments on the Web about her, have helped reverse this policy. Enlightened individuals are also saying no to bullying. It’s not as though adult bullying has not been a topic of concern. Aaron Sorkin’s movie, A Few Good Men addressed this issue as do books like Ruth Ozeki’s A Tale for the Time Being. But lately with these news stories coupled with the fierce global competition bringing out the worst in people, adult bullying is suddenly too rampant to ignore. Americans want to say no to this behavior which is undermining our families, raising our stress levels and robbing us of the potential to live in a civilized culture. Those who diminish others to raise their own status can no longer escape criticism because now there’s a punitive label attached to it. In the current marketplace, being branded a bully is now taken more seriously in the boardroom, in the bedroom, on the football field in the school classroom. This sensitization with all this media coverage is a step in the right direction. What I’ve learned is that bullies need to establish dominance. They create the illusion of their power but deep down fear being challenged. Which is why all of us must remember that silence is a sound. By speaking up, you can change the image people have of you as well as the image you have of yourself. Change takes time. So the best strategy in the interim is to try these techniques to deal with the bullies around you. Remember that bullies need to establish dominance. They use exclusion as a tactic to lure lieutenants who are grateful for their attention. In groups, they will charm while snickering how others aren’t as smart or cool as the new recruit. They create the illusion of their power but deep down fear being challenged. You need a win/with a bully. So be like Sitting Bull and observe their weaknesses and then call them on it. Be like Sandra Bullock and use charm as a weapon by being funny, clever or entertaining so you create your own team of supporters. Be like Bullet Point Jane and document facts not feelings about what bothers you before stating your case so you can be most effective. Bullies smell fear. Like animals, they are can sense it so before engaging with one, you must find a strategy to assert your confidence. It can be pressing your fingers together, thinking of hurtful words washing off of you as though you are wearing a raincoat, standing tall or uttering this helpful ancient bull mantra to find balance and strength. Repeat after me, “I am safe, healthy, wise, and strong.” It really works. Furthermore, understanding bullies is not agreeing with them. You can’t change them, but you can change how they make you feel. The secret is saying your “no” to them confidently and calmly and watching the results. Here are a few ways to say no effectively. “I see your position. I understand that is the way you are thinking. But, no, I am not comfortable doing that.” Or you can say, “I think we will have to agree to disagree on that position.” (Notice that you are not changing their position. You are just asserting yours). “Because I am a perfectionist, I want to always do a good job. No, I can’t commit to another project at this time but maybe later.” Or you can say, “No, I can’t at this time.” (A value system has been established so your work and involvement becomes meaningful). “No, I have a policy that I don’t comment on other people’s children because you never know what is going on behind closed doors. We all have our moments. Is there anyone’s child here who really is perfect? Please tell me. But by the way, did you hear the funny joke about…” (This makes every parent feel comfortable with you even if they don’t say it out loud. However in your arsenal, via Google or books, find amusing stories to deflect gossip so you are still a welcome member of any group). Jill Brooke is the editor in chief of Travel Savvy magazine and has written for the New York Times, Forbes FYI, the Chicago Tribune, Harper’s Bazaar, the Huffington Post, Psychology Today and New York magazine. She has been a contributor for The Early Show and CNN and her book, “The Need to Say No: How to Be Bullish and Not Bullied,” offers advice to combat adult bullying and learn to say, “No!” and deal with the different types of bullies we encounter in adult life.